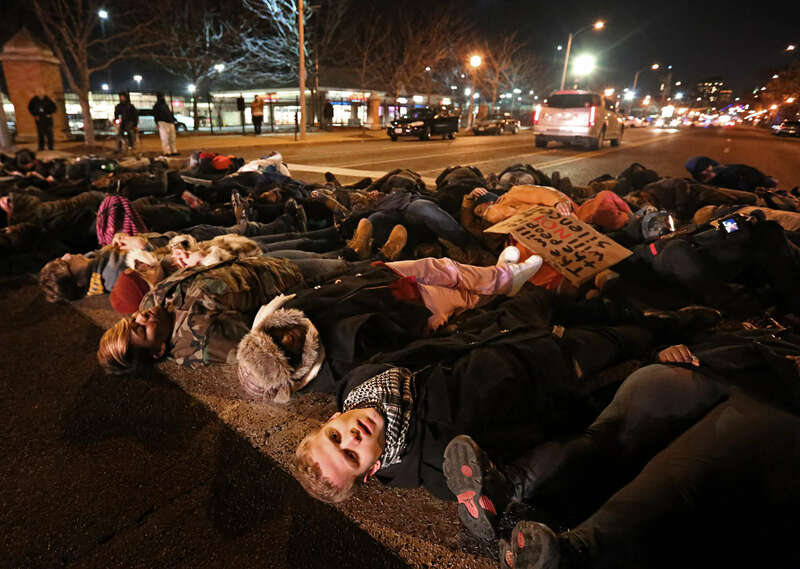 Protesters lay down in the street to block Lindell Boulevard at Whittier Street in St. Louis on Tuesday, Nov. 25, 2014. About 100 people marched through the Central West End neighborhood occasionally blocking traffic but were peaceful in their demonstrations. After a short while police ordered the protesters out of the street and they complied, got up and left the area. They were protesting the grand jury's decision not to charge Darren Wilson in the shooting death of Micael Brown.